8 years & up. 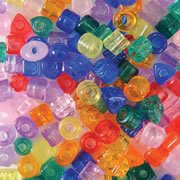 Make 14 different projects with cord! Weave, knot, and braid beautiful round, hollow pliable cord using illustrated instructions and make key chains, hair elastics, fancy flip flops, five bracelets, and much more. 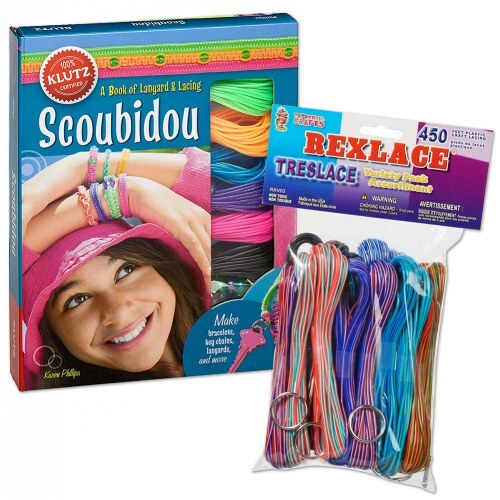 The Klutz® Scoubidou kit comes with 40 yards of cord in 6 colors of scoubidou (pearl ocean blue, neon magenta, neon sherbet orange, pearl green, glitter purple, glossy black), plastic beads in various sizes and colors, key rings, and lanyard clips. 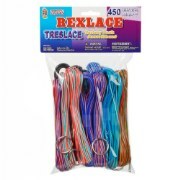 Keep the crafts going with an additional Rexlace variety pack featuring 450 feet of plastic lacing cord in various colors with five key rings, five lanyard hooks, and basic lacing instructions.